From the Congressional Record: Increase of the Public Debt Exposed. Speech of Hon. 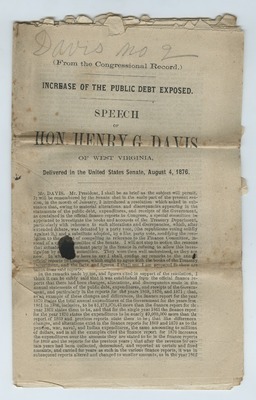 Henry G. Davis of West Virginia, Delivered in the United States Senate, August 4, 1876.